Romeo & Juliet Furniture Liquidations – High quality living room sets, dining room sets, and bedroom sets Detroit residents rely on. Romeo & Juliet Furniture Liquidations is the preferred destination for amazing offers on high quality living room sets, dining room sets, and bedroom sets Detroit residents rely on. We offer easy, no credit check financing and remember at out Detroit Furniture store the motto is No Bank, No Credit, No Problem! No home or office is ever complete without the right set of furniture to complement the look and feel of the place. Having the right set of furniture that perfectly suits your needs as well as your budget is something every home owner and business owner wants. However, the first step towards achieving this goal is to find the right place to get your hands on amazing furniture offers at very reasonable prices. If you're in Detroit and are looking for the place that stands out among all the furniture stores that Detroit has to offer, you have found the right place. View our extensive showroom of quality furniture at truly competitive prices, you couldn't have come to a better place! Romeo & Juliet Furniture Liquidations is Detroit's favorite destination for top quality furniture at just the right price. We are the largest furniture store in D and are the top choice for folks who want to get the best value for their money. We have a wide range of bedroom sets, dining sets, and living room sets which include amazing sectional sofas Detroit home owners love. 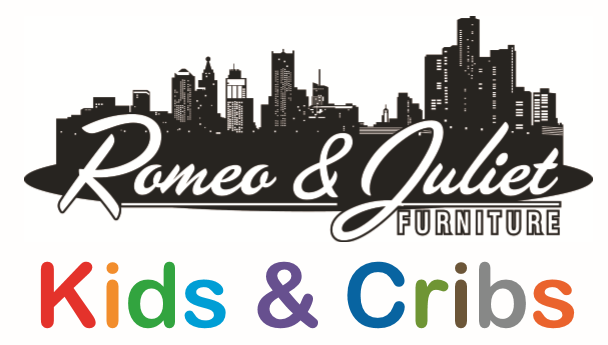 For over 15 years now, Romeo & Juliet Furniture Liquidations has been serving the furniture needs of home owners and business owners in Detroit. 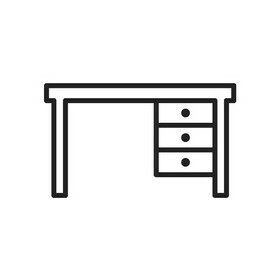 Our wide selection of quality furniture at very reasonable prices, combined with our outstanding personalized service make us the preferred furniture store individuals, couples, families, and businesses in Detroit rely on for all their furniture needs. For more information on Romeo & Juliet Furniture Liquidations furniture on offer, please call us at (313) 366-7300 today! To stay updated on the latest offers and amazing deals make sure you like us on Facebook. We offer 1 year Free Layaway and No Credit Check Financing! Are you looking for new furniture for you little ones? Romeo & Juliet Furniture just opened a new store dedicated to kids furniture. 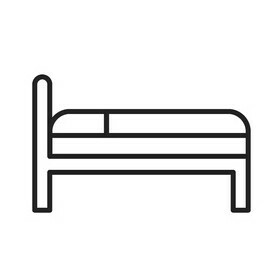 We have a large selection of bunk beds, cribs, beds, chairs and accessories. These guys are great! Very trustworthy and great selection to choose from! They have great no credit check finance options as well. Highly recommend this place. Well where do I start?? This place and staff have always been so very good to me. No, I didn't receive any discounts lol. But it is the consistent great customer service they have always shown every time I walk in any of their stores. They have great quality furniture, a ton of choices to choose from, and you can find something no matter what your budget is. 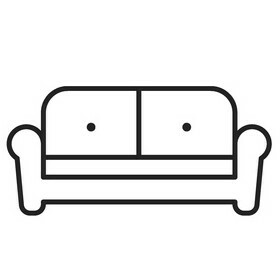 They have three ways you can pay for your furniture: PIF, layaway, or credit. Either way, you can't go wrong. You can also make arrangements to pick up your furniture to avoid delivery charges, which vary depending on how far you are. I know for up to 12 miles is $75 and of course they assemble it upon delivery. They are absolutely my go to furniture store before anyone else. I really like Romeo and Juliet. The customer service was great. The quality of furniture and the prices were reasonable. I would like to thank Tina for being so helpful. I feel some spend all most 2,000 dollar with all u shouldhave offered a gift even if it was small token of appreciation. It have been a blessing on your behalf... Thank you all and have a God bless day.. I've been in customer service for years and I base that on what is expected. My experience at Romeo and Juliet was very good, the staff were very courteous and professional, they did a great job with locating what I was looking for and I’m now a satisfied customer, thanks to Shay and the staff... I recommend whoever is interested in furniture or accessories, take a look at Romeo and Juliet first. Romeo the own really worked with me today and made my bedroom dream come true so excited I love romeo & Juliet💜💜. I love this place I got all my furniture for a nice price and it's good quality furniture I'll recommend anybody to go.. I was very satisfied with the selection of furniture they had and everything was a great price. I feel i got the best for the money that spent. Everyone at Romeo and Juliet were so helpful and amazing during the several times that I visited. From the sales rep who walked around with me on my first venture for a TV fireplace stand, to the administrative staff behind the counter who allowed me to purchase the floor model 5 months later cuz it’s winter now and they are all selling out fast, and finally to the the guys who wrapped and loaded my purchase into my truck. Very professional but also extremely friendly and just general nice people. Thank you, thank you, thank you!